Rajat Rawail: The general audience may not know much about this man. he is a famous name in the Hindi film industry. Rajat Rawail is a Bollywood film director and producer and has produced many hit movies, including Ready, No Problem, Shortcut, etc. He made his acting debut in Bodyguard, in 2011, where played an overweight guy called Tsunami Singh. He is said to be a close friend of Salman Khan which landed him a seat in Bigg Boss 7. It seems that he is trying to get into the game and manipulate others but ends up making it all obvious. Let's see how he handles the pressure of the game. 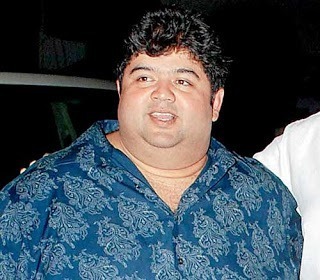 Rajat Rawail's Sun Sign is Gemini. Communication can be his key performing area, chuckles Ganesha. He may possess tremendous sense of humour. However, Rajat may have a tendency to get confused and may sometimes overreact to a situation. His Sun Sign is ruled by Mercury. In Vedic astrology system – Mercury is 'Yuvraj' i.e. prince. It is believed that prince can be very sensitive and may get hurt (emotionally) very easily. Rajat is the person who can make everyone laugh out loud but on the flip side, he also will have capacity to draw everyone's attention towards him by doing something unusual and surprising.